Trites, A.w.. "Killer Whales". The Canadian Encyclopedia, 12 April 2018, Historica Canada. https://www.thecanadianencyclopedia.ca/en/article/killer-whales. Accessed 24 April 2019. Three ecologically distinct types of killer whales have been identified in British Columbia: residents, transients and offshores. These three populations have overlapping ranges, but appear to be socially and reproductively isolated. An orca on the west coast of Canada. Image: Bertie Gregory / Rex Features/The Canadian Press. Hyak performs, Vancouver Aquarium (photo by J.A. Kraulis). 1. grey whale, 2. Minke whale, 3. Pacific white-sided dolphin, 4. Dall's porpoise, 5. harbour porpoise, 6. humpback whale, 7. killer whale, 8. long-finned pilot whale, 9. Northern right whale, 10. bowhead whale, 11. Atlantic white-sided dolphin, 12. Stejneger's beaked whale, 13. white-beaked dolphin, 14. Sie whale, 15. 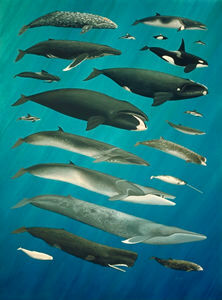 Northern bottlenose whale, 16. narwhal, 17. fin whale, 18. blue whale, 19. sperm whale, 20. beluga, 21. Cuvier's beaked whale (artwork by Pieter Folkens). 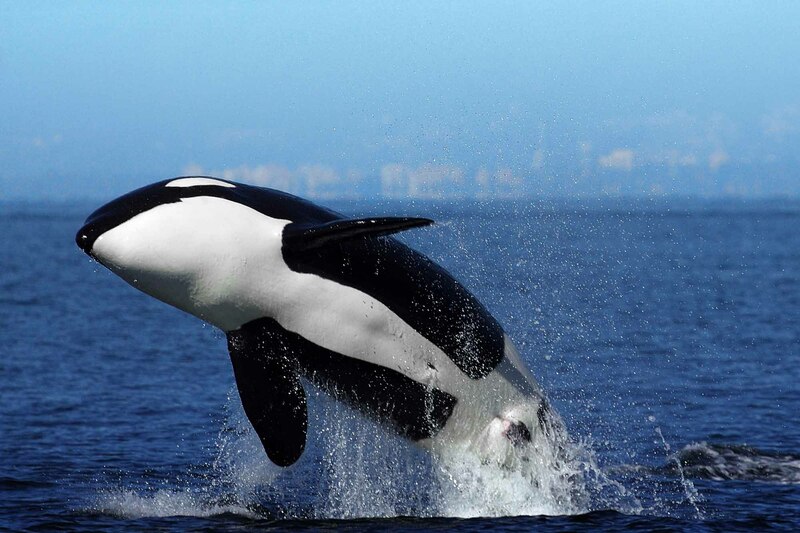 Also called Orca, the killer whale can be seen off the coast of British Columbia (Corel Professional Photos). 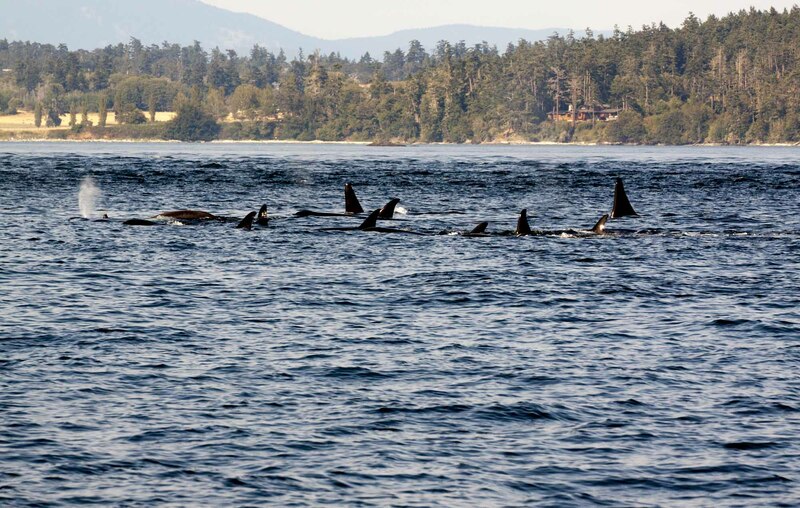 Pod of orca killer whales in Canadian waters. A wild killer whale breaching in the ocean outside of Vancouver Island British Columbia. 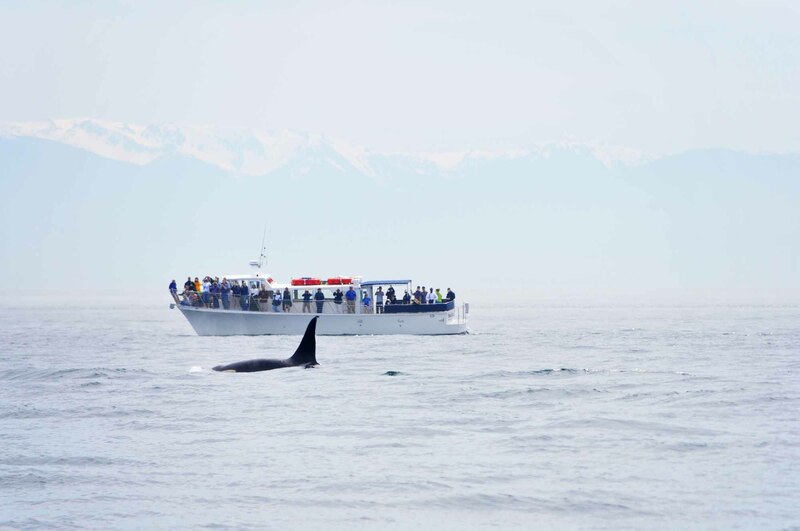 Orca Whale watching outside of Vancouver in British Columbia. Image: The Canadian Press/ photographer Bertie Gregory / Rex Features. Resident killer whales tend to travel in stable groups known as pods. They feed on fish and were named residents because they are reliably seen each summer. They number about 600 individuals between Washington and Alaska. Transient killer whales typically travel in small groups and were thought to be in transit. Transients behave unlike residents and appear to eat mainly mammals and only occasionally birds. About 400 individuals range from southern California to the Aleutian Islands in Alaska. 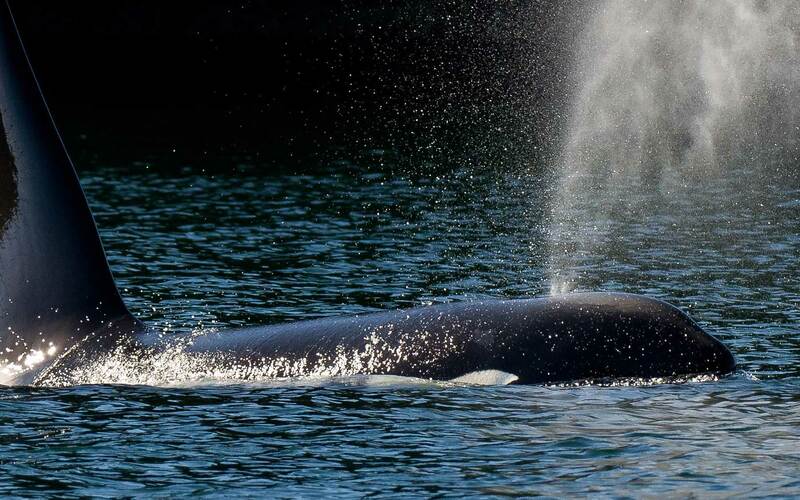 Little is known about the offshore killer whales, which are rarely seen in British Columbia. They may be distant relatives of the resident killer whales. About 200 offshore whales have been catalogued so far. They appear to feed on fish and squid. Salmon appear to be the predominant prey of resident killer whales. Less important prey include lingcod, greenlings, sole, flounder, sculpins, herring, rockfish, sablefish and halibut. In contrast, the most common prey of transient killer whales are harbour seals. Other important prey of transients include harbour porpoise, Dall's porpoise and Steller sea lions. Less common prey are grey whales, minke whales, Pacific white-sided dolphins, California sea lions, northern elephant seals, river otters and sea otters. Transient killer whales occasionally harass and sometimes kill seabirds, but seldom consume the carcass. 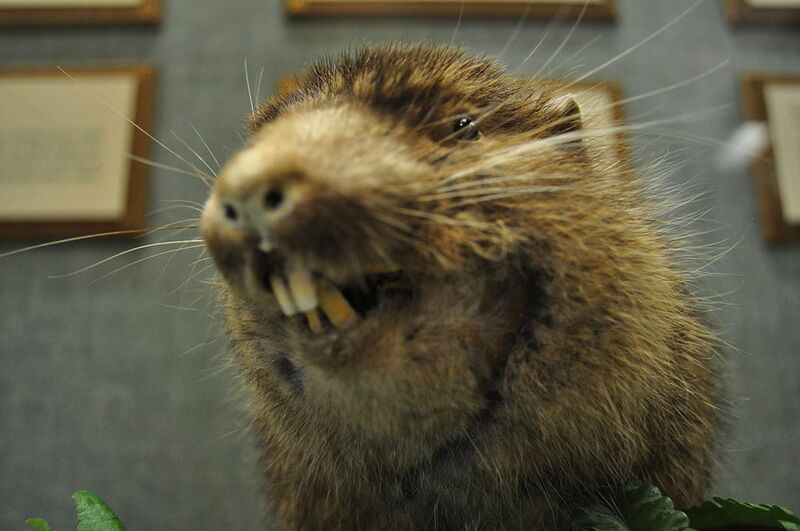 The mammal-eating transients and the fish-eating residents appear to have specialized diets. If transients prey on fish, or if residents eat mammals, it is an uncommon, or rare, event. 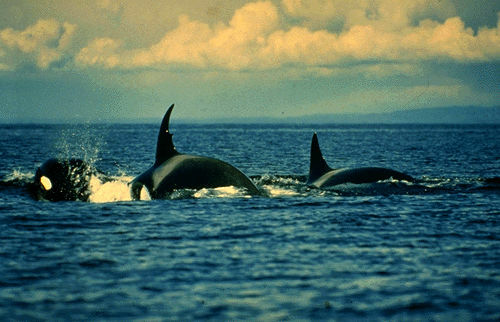 Killer whale pods are maternal groups consisting of a mother and her offspring. Resident pods often contain as many as 3 or 4 generations totalling 15-30 whales. 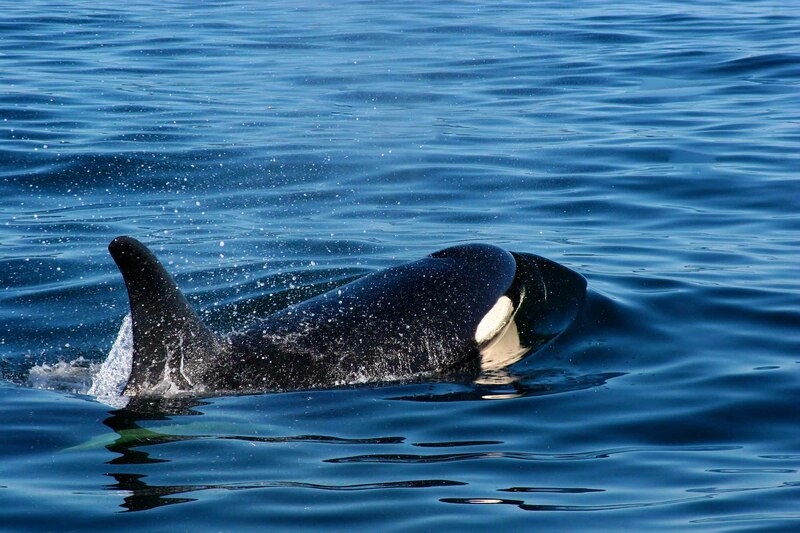 Male calves born into resident pods stay with their mothers for life, while some females may form sub-pods with their own offspring when they are much older. In contrast to residents, whales born to a group of transients will not necessarily stay with the group for life. Whales of both sexes may leave their mother to travel alone or with other transient whales. Transient whales typically travel in groups of 2-6 individuals, but can sometimes exceed 20 animals. Group size may be related to the size of the prey being attacked. All 3 types of killer whales produce 3 basic kinds of underwater sounds: clicks - used primarily to detect and pursue prey; and whistles and pulsed sounds - used primarily to communicate between themselves. Resident killer whale pods have a repertoire of 7-17 discrete calls that can vary from pod to pod. 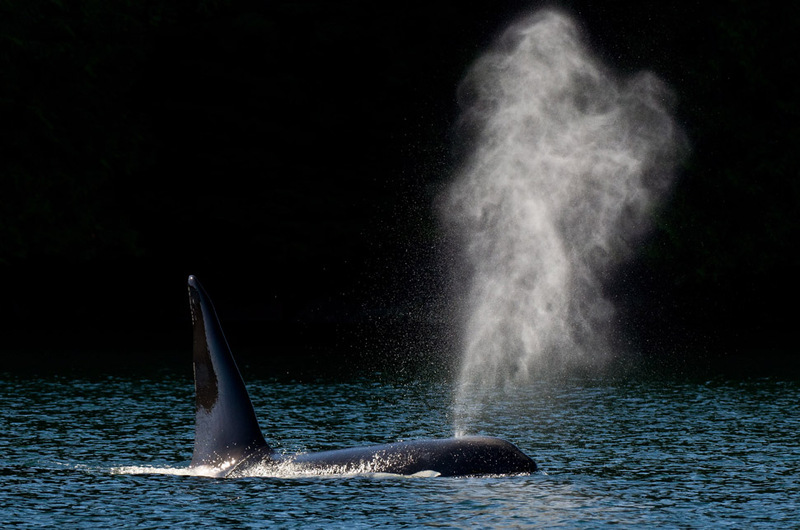 Transients only have 4-6 calls, most of which are used by all transients, and none of which are made by the resident killer whales. Females give birth to a single calf beginning at 11-15 years of age. 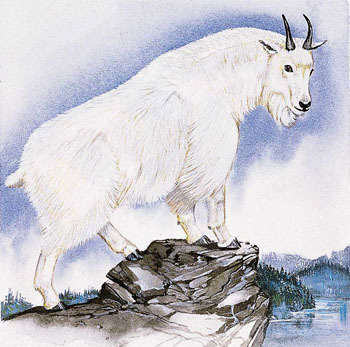 The gestation period is 16-17 months, with pregnancies occurring every 3 years or more. Females may produce 4-6 calves before the age of 40 years. Post-reproductive females may live for an additional 25 years. The average life span for females is about 50 years, compared to 30 years for males. Calves are about 2.5 m at birth and weigh about 200 kg. They nurse for at least a year and may begin to supplement their diet of milk with solid food at 6 months. Physical maturity of males is attained by about 20 years, but begins at 12-14 years with a sudden growth spurt in the dorsal fin. 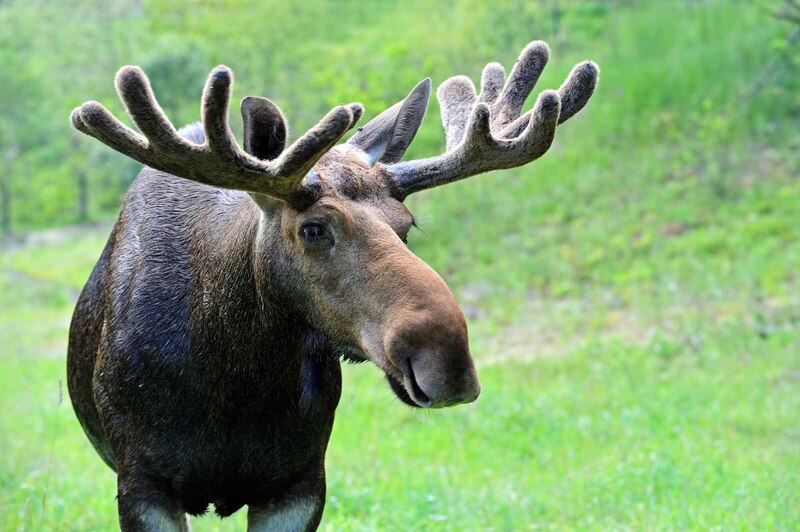 Mature males may weigh 9000-10 000 kg with a length of 8-9 m. Mature females are smaller with lengths of 7-8 m and weights of 7000-8000 kg. Killer whales were never killed in British Columbia for oil or meat. 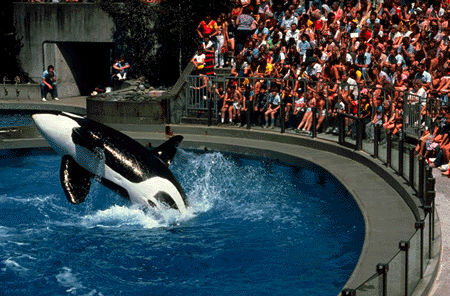 However, a total of 68 killer whales were live-captured in the coastal waters of Washington and British Columbia between 1962 and 1977 for exhibition in aquaria. Most were of the resident form. The whales are now protected and have been increasing at a rate of 2-3% per year.